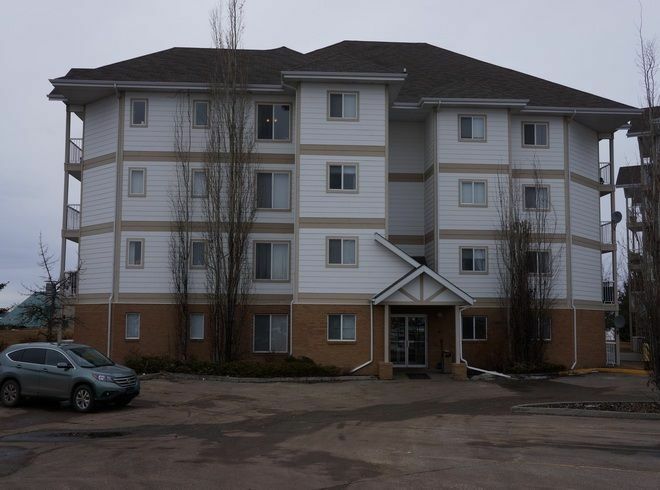 Fantastic Location with this complex located on North Saskatchewan River Valley... Ideal for long walks and close to all downtown amenities from shopping to Schools parks and more ... Open design with peninsula island Kitchen overlooking Living room with patio doors to balcony. Master bedroom features walk thru closet and full 4 piece ensuite bath . Second Bedroom and second bathroom along with in-suite laundry and storage finish up this spacious layout. Access to recreation exercise room located in adjacent building. All furniture and household items in unit is negotiable.